For almost as long as the Apple II has existed, French developers have pushed the machine to its limits. From the Free Tools Association (FTA) to Brutal Deluxe, the contributions of these elite programmers have benefitted the global Apple II community, both decades ago and today. The Apple II is still strong in France, and Juiced.GS has eagerly covered many of its developments, such as last year's cover story about Zéphyr, a game developed by Froggy Software in 1987 and released by Brutal Deluxe in 2013. But it's not just editorial content that the country has contributed to the magazine: among Juiced.GS subscribers, France is the most represented country where English is not the primary language. 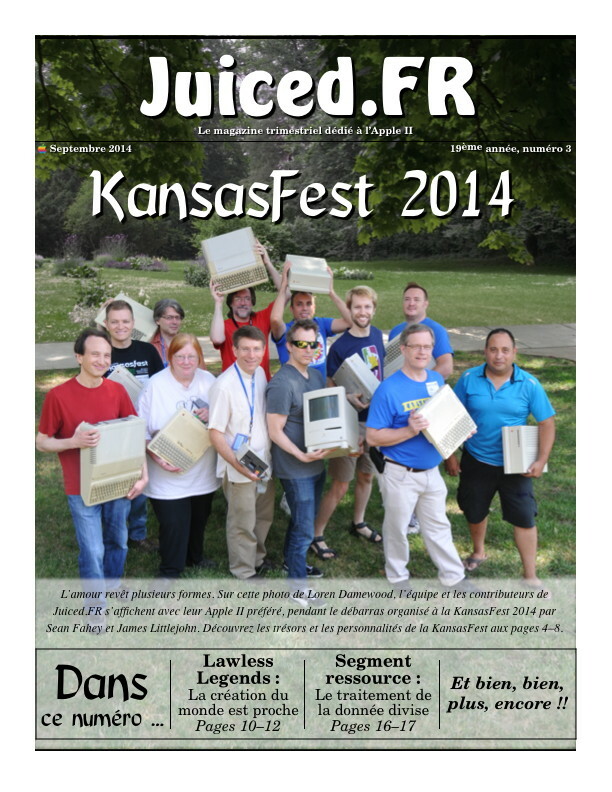 As a token of thanks for France's many years of support and community, Juiced.GS is pleased to announce that the September 2014 issue of Juiced.GS is now available in French. The entire 20 pages were translated from the original English by Antoine Vignau of Brutal Deluxe and has been made available in hardcopy at no additional charge to our native French speakers. This one-time collaboration is not expected to be repeated for back issues or future releases, but collectors and francophiles can still get a copy of Juiced.FR from our online store. Once our limited quantities are exhausted, we do not expect additional copies to be made available for purchase ever again. Get yours today!